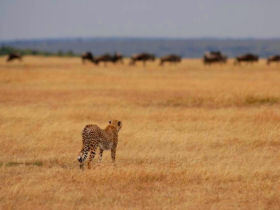 Kilometres of the now neglected land have created a stunningly peaceful space, ideal for horse-riders. 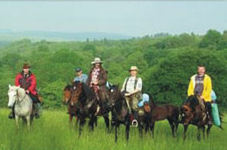 The farm is situated on a vast area surrounded by the woods. Mallards and beavers roam freely throughout the grounds of the property. Sounds like a lovely way of spending a week. 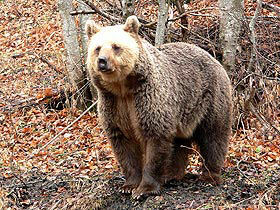 Central Europe is still home to healthy populations of brown bears with some 4,000 to 5,000 animals. This eight-day bear tracking trip in Slovakia looks very interesting indeed. You’ll work with the expert guides and rangers who lead the High Tatras bear project, you will search not only for bears, but also wolves, wildcats and more. Bulgaria is one of the best places for watching brown bears in Europe with a population of some 600-800 bears. 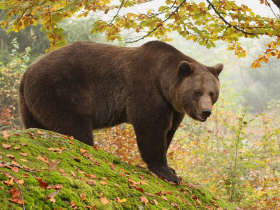 This short holiday offers you the chance to see bears in the heart of the most unspoilt part of the Rodopi Mountains. Walking holiday in the beautiful and mysterious Rodopi mountains in Bulgaria.